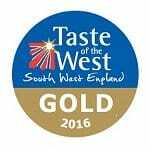 The Two Bridges Hotel is proud to hold a Gold Award from Taste of the West, in recognition of a commitment to local sourcing, top quality food and excellent service. Taste of the West is a unique membership organisation which showcases the quality and diversity of food and drink producers, restaurants, hotels and retailers in the South West, from the farthest tip of Cornwall, through Devon, and including Dorset, Gloucestershire, Somerset and Wiltshire. The annual Taste of the West Awards is the largest regional awards programme in the UK, with a team of judges carrying out unannounced visits to member businesses to judge not only the quality and provenance of the food and drink, but just as importantly the warmth of the welcome and the efficiency of the service. The Gold Award received by the Two Bridges Hotel reflects and endorses the hotel’s commitment to using the very best local Devon produce to create delicious, well-balanced dishes which reflect the seasons.